Comments: This is a wonderful native deciduous shrub that has many good qualities. It blooms in the spring, has attractive foliage during the summer months, produces clusters of purple-black berries in late autumn and has exquisite autumn foliage color. It growth habit it upright with arching branches, sometimes becoming nearly pendulous during period of heavy fruit set. 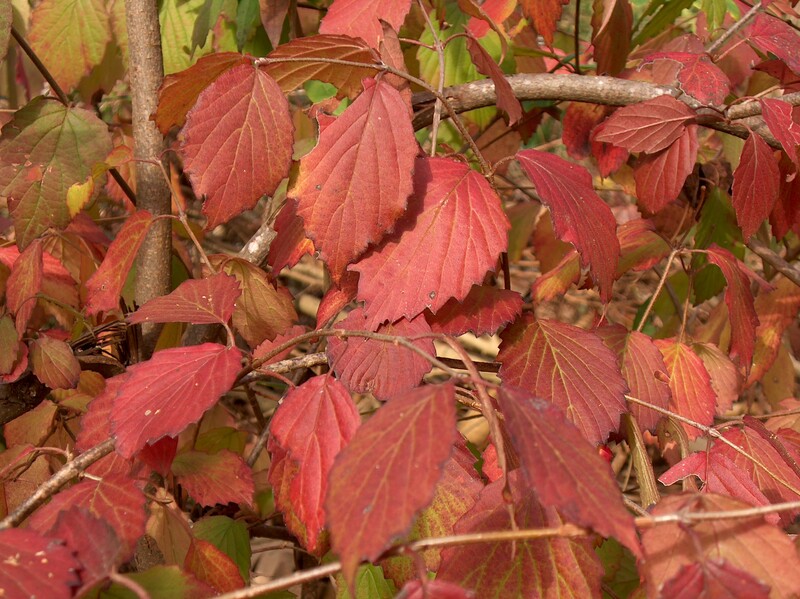 This is an excellent shrub for naturalistic settings growing in shade to full sunlight.